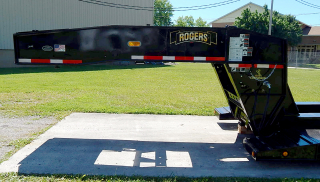 This custom-designed ROGERS CobraNeck Series 65-ton capacity drop side deck trailer is packed with features to enhance its usefulness. It features the CobraNeck gooseneck with combines ease of use, durability, and versatility. 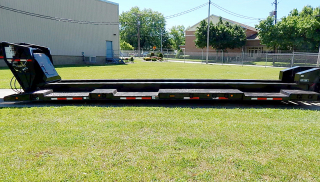 The trailer is designed to carry its full 130,000 lbs. capacity payload in half the deck length. 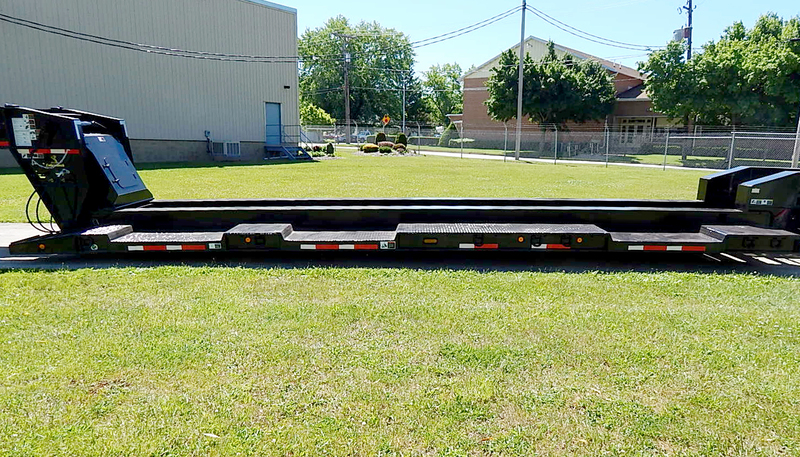 The modular drop side deck is 27'-0" long and 9'-0" wide with a deck height of approximately 15" when fully loaded. 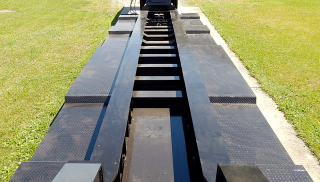 Specially designed wheel wells (3 per side) provide an even lower loaded deck height for large, rubber-tired machines. The hook-and-shaft detachable rear frame can be easily shimmed to adjust deck height or load distribution to the rear frame. CobraNeck gooseneck design combines versatility with ease of use. 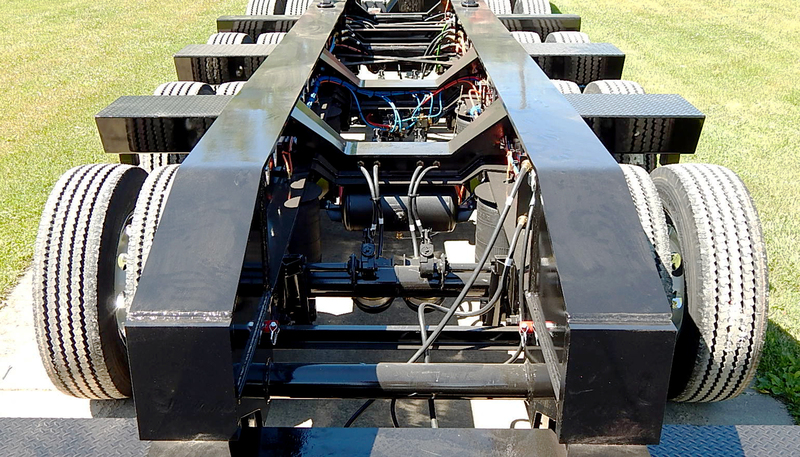 The drop side deck features a 15" loaded deck height allowing maximum overhead clearance for tall machines. 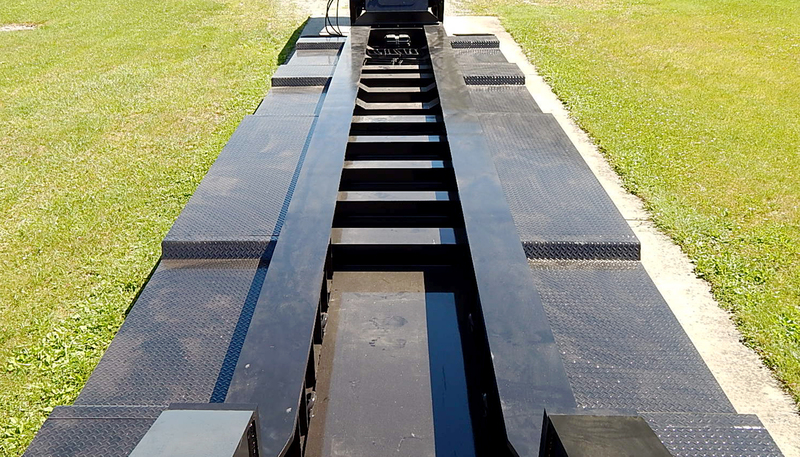 Wheel wells provide an additional 4" of overhead clearance for rubber-tired machine loads. The out-to-out dimension of the main beam flanges is 49 1/2" on the 108" wide deck. The full-depth "Bucket Pocket" is especially useful for transporting excavators. 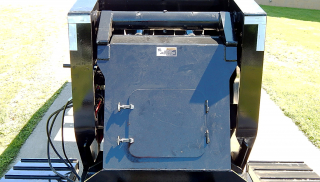 The "V" style "Boom Trough" in the rear frame further facilitates the loading of excavators and similar machines.